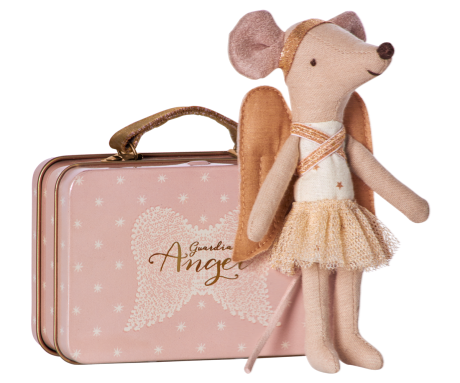 This Guardian Angel Mouse is made from cotton with a sweet embroidered face, big pink ears and a tiny leather tail. Comes with a sweet suitcase. 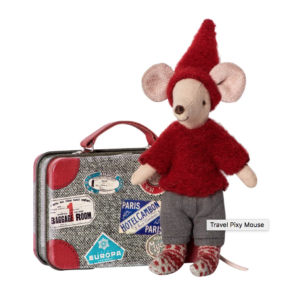 Guardian Angel Mouse comes in a Suitcase makes for a lovely gift as well as a great start to your child’s own mouse collection. 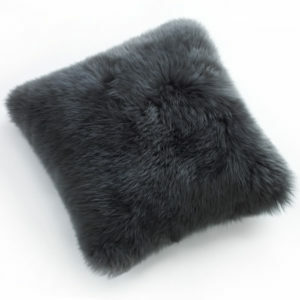 This classic, timeless doll is sure to be treasured for a forever. 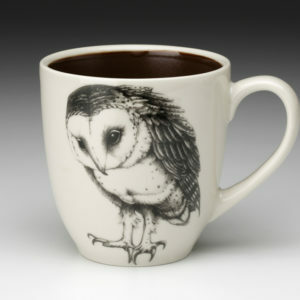 Mouse measures approximately 5.12″ tall.